St Aelred’s Primary School aims to provide a caring and supportive environment where every child matters. All pupils are valued equally and are given the opportunity to achieve the very best they can. Sometimes children need additional support for some or all of their time at school. This page is to inform you of the types of support available for your child at St Aelred’s RC Primary School. It will help you to understand who can help if your child needs additional support, and how this support can be accessed. All pupils at St Aelred’s RC Primary School receive quality first teaching. This means that a range of teaching styles and approaches are used and that appropriate learning objectives are set for all children with a curriculum matched to their needs. Children have access to different types of support in lessons, and often work in small groups or one to one with a Teacher or Teaching Assistant. Our teachers carry out various assessments and routinely check that all children are making the required progress. If our teachers think your child may not be making the same progress as other pupils, or are falling behind the level that is expected for their age, they may be considered to have Special Educational Needs. Our SENDCo will support you and your child’s class teacher. We will observe and monitor each child, assess their understanding of what we are doing in school, and work with them to find out what is causing difficulty. They may be placed on the SEND register and parents will be informed of this. Support will be put in place to support your child’s learning. 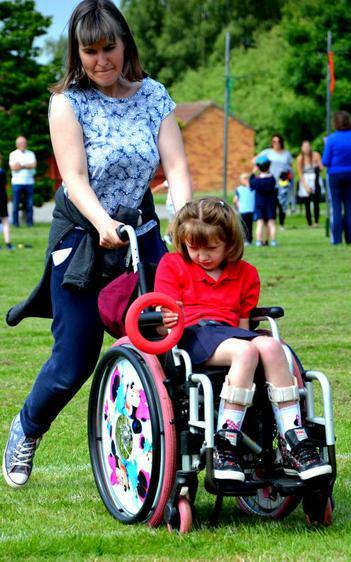 If you tell us you think your child has Special Educational Needs your class teacher will discuss this with you. We will observe your child closely and assess what may be causing difficulty. We will share with you what we find out and what we will do next. Our SENDCo will support you and your child’s teacher to make the best provision for your child. When a child has identified SEND before they start at St Aelred’s RC Primary School, we work with the people who already know about them and use the information already available to identify how we can meet their SEND at St Aelred’s. How do we involve pupils and their parents/carers? Parents know their children better than anyone else and the relationship between parents and school is crucial in making sure your child reaches their potential. Parents can expect to be involved in assessment of SEN and are regularly invited to review progress and be involved in the target setting process. Specialist teachers and Teaching Assistants from ERP – behaviour support, speech therapy at Haxby Road, Dyslexia Centre at St Oswalds. How do we adapt the curriculum so that we meet the needs of our children with SEND? All staff are trained in a variety of approaches to teaching and learning, which means we are able to adapt to a range of SEN including Dyslexia, Autistic Spectrum Condition, Speech, Language and communication needs and behavioural, social and emotional difficulties as well as visual and hearing impairment, physical and medical difficulties. Extra help from a teaching assistant in class. The type and length of instructions we give. Support to manage own behaviour. Set through an Individual Learning Plan, which will specify in detail what will be learned, how and who will help. Emotional or pastoral support from a Mentor. At every stage of the process, the pupil’s voice is at the centre of decision making and provision. Your child will be listened to and supported, and their views will be taken into account along with those of teachers, families and Professionals. If your child’s needs are complex or severe we may suggest that we ask the Local Authority for an Education Health and Care (ECH) Assessment. This may lead to an Education Health Care Plan (EHCP) if your child needs additional support beyond that provided through School Support. If, however, their needs can be met through School Support, this will continue to be coordinated through a My Support Plan. If your child needs extra resources to help them with their learning, for example, money, staff time, special equipment or attendance at a school with specialist resourced support, the Local Authority will provide these. This extra provision will be reviewed annually and would include parent, teacher, SENDCo and pupil. Teachers use detailed information from their tracking of children’s progress to make sure that all children are making progress at their level. Progress is checked daily during lessons and termly through assessments. Teachers regularly have meetings to work together to check that their judgements are correct. Our senior leadership team check the progress of pupils every term and discuss what we are going to do to make sure that each child is making good progress. For children with SEN, teachers review personal targets termly and discuss these with parents. Who is responsible for provision for meeting my child’s needs? Our staff at St Aelred’s Primary School are highly experienced and are trained to meet every child’s needs. Our SENDco / Inclusion Leader will oversee provision for any children with SEND and will liaise with class teachers, teaching assistants and outside professionals to make sure that your child’s needs are being met. Your child’s teacher will set appropriate targets and discuss these with you termly, more often if needed. Your child’s teaching assistant will work closely with the class teacher to implement targets and support work set, sometimes working as part of a small group outside the class. Our School Governor who is responsible for liaising between our SENDCo and the Governing Body is Irene Shanks. We aim to ensure that every child achieves their full potential and becomes a confident learner. Get them into St Aelred’s - they are totally committed to your child. Don’t be afraid to ask school for help and give your views. Don’t be scared to speak to someone. Be patient at all times. It takes a while but changes come fast. Read and write with your child as much as you can.